We’ve heard an awful lot and will continue to hear about the young Winnipeg Jets. That’s what happens when your 19-year old winger leads the team in regular-season goals with 44. The youth of the Jets did a lot of legwork prior to the playoffs. Patrik Laine finished second in the league in goals. Kyle Connor led all rookies in goals with 31. Nikolaj Ehlers was right behind him with 29 goals at age 22. The list goes on. In the playoffs, however, with the Jets poised for a do-or-die Game 7 against Nashville, the young guns are taking a back seat to the elder statesmen on the team. The veterans are showing up to play and leading the way. It seems strange to think of Mark Scheifele as a veteran, as he’s still just 25, but he does have five full NHL seasons under his belt. He’s not the young buck of the team anymore. His play in the playoffs has been that of a veteran to be sure. Look at the Jets’ leading scorers through 11 games and there’s not much doubt who’s been doing the heavy lifting in the playoffs. 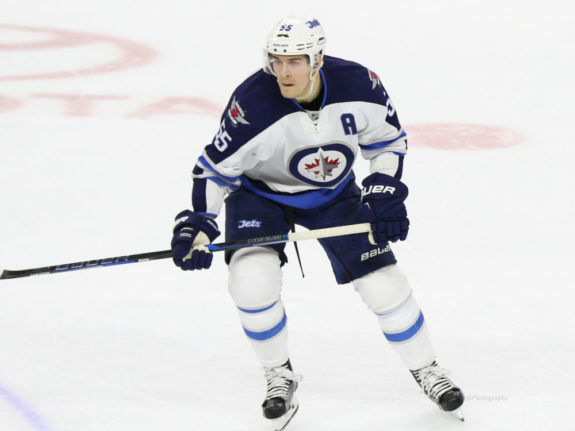 Dispute Scheifele’s veteran status if you must, but there’s no denying Blake Wheeler, Dustin Byfuglien, and Paul Stastny, Winnipeg’s next three leading scorers, are longtime NHL warriors. Byfuglien, in particular, has been a terror to play against in these playoffs. With 12 points in 11 games from the blue line and enough massive hits to deserve his own highlight reel, Byfuglien gives the Jets an unparalleled weapon in the postseason. While there’s no guarantee in a Game 7, you can bet Byfuglien will be a factor. If the Jets do go on a deep run, bet Byfuglien will be in the running for the Conn Smythe Trophy as he was in 2010 with the Chicago Blackhawks. Byfuglien doesn’t score meaningless points either. He scored two goals in the Jets’ crazy second-period charge in Game 3 against Nashville and picked up two assists in the Jets’ series-clincher over Minnesota, among others. Byfuglien hasn’t been the only veteran Jet to step it up, however. Stastny is proving to be a first-round pick well spent. While the price to acquire the former Blues center was high, Stastny has been equal to his price tag with 11 points in 11 playoff games. A stabilizing force on the power play and the perfect complement to youngsters like Laine and Ehlers, Stastny has also put up some big goals. His tally in Game 1 against the Preds proved to be the winner, and he got the comeback started in Game 3. Stastny has been historically decent in the playoffs, with 35 points in 55 previous games. His current run is his best yet, as he’s only been above a point per game in the playoffs once, on the offensively-prolific but early-exiting Colorado Avalanche team of 2014. With the Jets tight on cap space (or soon to be), Stastny may well prove a rental. His play in the playoffs and chemistry with Laine must surely tempt Kevin Cheveldayoff to open the checkbook on July 1, however. No mention of the Jets veterans would be complete without their second-leading playoff scorer and heart-and-soul leader in Wheeler. He, too, has elevated his already-impressive game for the postseason. Wheeler has always been known as a guy willing to do anything to win. Need a big hit? Wheeler is your man. A blocked shot or even the occasional fight? The captain will step up. And his offensive prowess is known well enough by now. Wheeler played his way into the Hart Trophy conversation as the year went on. Much like Byfuglien, the Conn Smythe conversation is next if the Jets go deep in these playoffs. It’s a hallmark of the Jets’ veterans that their goals come at big times. He scored a pair of goals in Game 3 against Nashville after taking a big hit that seemed to spark Winnipeg. In Game 5, he chipped in three assists. Off the ice, Wheeler has been a leader in the room and his usual candid self. Even in the face of an elimination game, he maintains his sense of humor, something of underrated importance for a young team that needs to stay calm. All year long, the Jets have followed where Wheeler has led them. So far he’s led them wonderfully. They finished with the second-best record in the league and are just one win away from their first Conference Final berth in team history. It’s been a playoff full of firsts for a comparatively young Jets squad. 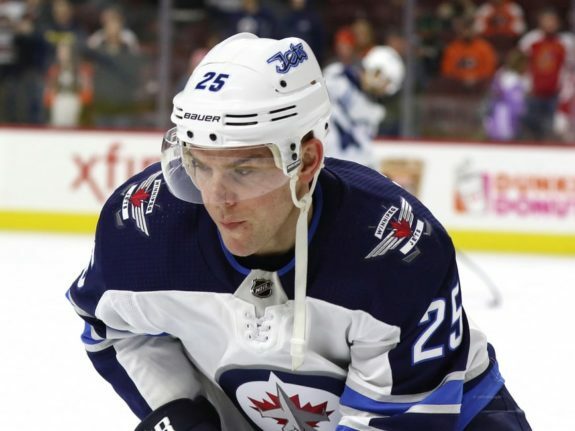 For the players like Wheeler who have been there before, it’s been a playoff to show that while the Jets may be a team of young stars, the older guys can still lead the way.